Elsa H. Jones, Administrative Law Judge, Office of Administrative Hearings, heard this matter on January 31, 2011, February 1, 2, and 3, 2011, February 17, 2011, and March 4, 8, and 14, 2011, in Costa Mesa, California. Student was represented by Theodora Parnavelas, Advocate. Student’s mother (Mother) was present on all hearing days, and on March 14, 2011, Student’s father (Father) was also present at the hearing. Mother and Father are collectively referred to as Parents. Costa Mesa Unified School District (District) was represented by Cynthia D. Vargas, Attorney at Law, of Atkinson, Andelson, Loya, Ruud & Romo. Karen Bentley, the District’s Special Education Coordinator, Coastal Zone, was present on all hearing days, except for February 2, 2011. Ann Huntington, the District’s Executive Director of Special Education, was present on February 2, 2011. On October 11, 2010, Student filed her Due Process Complaint (Complaint). On motion of the parties, the matter was continued on December 1, 2010. Sworn testimony and documentary evidence were received at the hearing. At the conclusion of the hearing, the parties were ordered to file and serve closing briefs by no later than 5:00 p.m. on April 11, 2011. The parties each timely filed their closing briefs on April 11, 2011. On that date, the record was closed and the matter was submitted. 1. Whether the District denied Student a free appropriate public education (FAPE) in developing the August 31, 2010, 30-day interim placement offer (interim placement offer) in that the offer was developed without the involvement of Parents. C. Failing to offer individual speech and language services (LAS). Student’s requested remedies include: (1) tuition reimbursement to Parents for Student’s unilateral placement at St. John the Baptist Catholic school (St. John’s);2 (2) reimbursements for services of a one-to-one aide while Student attends St. John’s; and (3) reimbursement for all designated instruction and services (DIS services), provided for in Student’s May 19, 2010, IEP, for which Parents sustained out-of-pocket expense. 1. Student is a nine-year-old girl, who has resided in the District with Parents at all relevant times. Student has 5p minus syndrome, a genetic disorder caused by the absence of chromosome 5. The syndrome is more commonly known as cri du chat syndrome. Cri du chat syndrome generally affects, to varying degrees, speech development, intellectual ability, muscle tone, motor development, attention span, and behavior. At all relevant times, Student has been eligible for special education services. 1The issues have been renumbered and reworded for clarity and to reflect the evidence at hearing, and they are therefore stated differently than they were stated in the Prehearing Conference Order. 2 Student’s Complaint contained a request for prospective placement at St. John’s. On November 5, 2010, OAH granted the District’s motion to dismiss this remedy, on the grounds that the Education Code section 56505.2, subdivision (a) bars OAH from ordering such a remedy. 2. Student attended a preschool special day class (SDC) in the District during the 2004-2005 school year, when she was three years old, and then was placed in a blended SDC preschool class at Harper Preschool (Harper) in fall 2005. A blended SDC is a class with both typical children and those with special needs. Student attended the Harper preschool SDC through the 2006-2007 school year. 3. In April and May 2007, when Student was five years old, District performed a triennial assessment of Student. The team generated a report dated May 22, 2007, which described the assessment results. 4. Ivette Lopez, the District psychologist, was part of the multidisciplinary team that conducted the triennial assessment. Ms. Lopez has been employed by the District as a school psychologist since September 2005. She received her B.A. in psychology from California State University, Long Beach, in 2002, and her M.S. in school psychology from National University in July 2005. In July 2005, she also received her Pupil Personnel Services credential as a school psychologist. Ms. Lopez conducted parts of the psychoeducational assessment and wrote those portions of the assessment report which discussed the psychoeducational assessment. Ms. Lopez administered several instruments to assess Student in the areas of intellectual functioning and adaptive behavior. 5. Ms. Lopez administered the subtests of the Nonverbal Scale of the Kaufman Assessment Battery for Children-Second Edition (KABC-II), to assess Student’s cognitive ability. The Nonverbal Scale was designed to assess children, such as Student, who have receptive language disorders. The Nonverbal Scale measures primarily the areas of Visual Spatial Reasoning, Fluid Reasoning, and Short Term Memory. Ms. Lopez decided to administer the core nonverbal subtests designed to test age 3 years, due to Student’s developmental delays. The KABC-II permits assessors to select such out-of-level options for children aged 3 to 7 years, without invalidating the assessment. All scores were based on norms for Student’s actual age. Student’s Nonverbal Index score on the KABC-II was 46, which was a score less than .1 percentile, and placed her in the Lower Extreme Range. Her scores on the subtests of Conceptual Thinking, Face Recognition, Triangles and Hand Movements ranged from 2 (a percentile rank of .4), to 5 (a percentile rank of 5). 6. Ms. Lopez also administered the Stanford-Binet Intelligence Scales, Fifth Edition (SB5), to assess Student’s intelligence and cognitive abilities. The SB5 provides a Nonverbal IQ domain (NVIQ), a Verbal IQ domain (VIQ), and a Full Scale IQ (FSIQ). Ms. Lopez only administered the subtests in the NVIQ domain, due to Student’s expressive language delays. Student earned a standard score of 66 on the NVIQ, which corresponded to a .1 percentile rank, which placed Student in the mildly impaired range of intellectual functioning when compared to other students her age. A standard score below 85, and a scaled score below 7, indicates an area of weakness when compared to other students the same age. Student’s scaled scores ranged from a 1 in Visual-Spatial Reasoning and Quantitative Reasoning, to a 7 on Knowledge. Ms. Lopez noted that Student’s scores on both the KABC-II and the SB5 corroborated with each other. Ms. Lopez did not need to modify the assessment instruments to assess Student, nor did Student require a communication device during the assessment. 7. Ms. Lopez measured Student’s adaptive behavior using the Adaptive Behavior Assessment System-Second Edition (ABAS-II). She gave the ABAS-II rating scales to Mother and to Student’s teacher to complete. Student scored in the extremely low range in adaptive behavior in both the home and school settings. 8. Student’s special education preschool teacher, Glenn Atkins, assessed Student’s pre-academic skills by administering the Brigance: Inventory of Early Development (Brigance) in the domains of Self-Help Skills and General Knowledge and Comprehension. In the Self-Help Skills domain, Student scored in the 3.0 year old range in the category of Feeding and Eating, and in the 2.75 year old range in Toileting. In the General Knowledge and Comprehension domain, Student scored in the 3.0 year old range in the category of Response to and Experience with Books, in the 3.75 year old range in the category of Body Parts-Receptive/Expressive, and in the 4 year old range for the category of Colors (matching, pointing to, and naming colors). In the Shape Concepts category, Student scored in the 5 year old range with matching shapes and in the 4.6 year old range when requested to point to or name shapes. In the Quantitative Concepts category, Student scored in the 3 year old range. In the Directional/Positional Concepts category, Student scored in the 3.5 year old range. In the Classifying category, Student scored in the 3 year old range. In the Knows What to Do in Different Situations category, Student scored in the 3 year old range, and in the Knows Use of Objects category, Student scored in the 2.6 year old range. 9. The District’s triennial assessment also included assessments in the areas of OT and LAS. The assessors determined that Student had unique needs in the areas of receptive language, expressive language, speech articulation, pragmatics, pre-academic skills (pre-literacy skills and qualitative concepts, directional/positional contacts, and classifying), fine motor skills, and sensory processing. 10. During the 2007-2008 school year, when Student was five years old, she attended a general education kindergarten classroom at Lincoln Elementary School (Lincoln) in the District. Her placement and services were determined by a settlement agreement between District and Parents. The District provided her 4.5 hours of support from a one-toone aide; 60 minutes of resource specialist (RSP) support in the general education setting; five individual sessions of LAS per week, at 30 minutes per session; LAS collaboration of 60 minutes per month; physical therapy (PT) consisting of two 30-minute sessions per week; and OT consisting of one 30-minute session per week of school-based OT and one 45-minute session per week of clinic-based OT. The District convened several Individualized Education Program (IEP) meetings during the 2007-2008 school year to monitor Student’s progress. 11. Student’s curriculum in the general education kindergarten class during the 2007-2008 school year was modified. She eventually learned the class routine, but she had a difficult time with academics. The pace of the class increased as the school year progressed, and Student could not keep up with the work. 12. Claudine Steck is a District special education inclusion specialist, who worked with Student, her general education kindergarten teachers, her aide, and her service providers during the 2007-2008 school year. Ms. Steck has been employed by the District as an inclusion specialist since September 2005. She received her B.A. from UCLA in 1992. Ms. Steck received her Multiple Subject Credential in 1994, and her Learning Handicapped (Mild/Moderate) Credential in 1998, both from California State University, Long Beach. From 1995-2001 she was employed by the Long Beach Unified School District as a special education teacher, teaching 6th to 8th grade in a mild/moderate SDC. Prior to becoming an inclusion specialist in the District, Ms. Steck was a team leader in the Long Beach Unified School District’s Department of Special Education, during which she conducted trainings, developed programs, and assisted in developing and implementing IEPs. Ms. Steck observed Student in her kindergarten class and on the playground during the 2007-2008 school year a minimum of one time per week, for one hour each time. She also attended approximately six of the IEP meetings the District convened regarding Student during the 2007-2008 school year. Ms. Steck was a credible witness. She had personal knowledge of Student, she was qualified in her field, and her testimony demonstrated knowledge of her field so as to support her opinions. 13. Ms. Steck testified regarding Student’s goals in the kindergarten classroom. In her opinion, nearly all of Student’s academic goals were pre-kindergarten goals, or skills that were taught only at the very beginning of kindergarten, including all of the goals that Student had met as set forth in the October 10, 2008, addendum to her January 24, 2008, IEP. While Student was working on those goals, the other students in the classroom were working on more complex tasks. For example, one of Student’s mathematics goals involved someone showing Student four number cards (bearing numbers from one to ten) in random order, and then correctly pointing to two out of 10 number cards with 100 percent accuracy in two trials. Student met this goal, which was a pre-kindergarten level goal. While Student was working on this goal in the classroom, the other students in the classroom would be identifying numbers from 1 to 100, and adding and subtracting. On a sorting goal, which Student had also met, Student would be given a set of 12 objects, and would sort them by one attribute (such as color) into 3 groups with 80 percent accuracy in two trials. While Student was working on this goal, the other children in the classroom would be counting and adding. 14. Student’s academic progress was slow. There was less repetition in the material as the year proceeded, and the pace of the curriculum quickened. Student could not complete the academic tasks, even with a modified curriculum. Ms. Steck believed that the kindergarten class was too difficult for Student academically. Also, Student was easily distracted in the classroom. She could only attend to a non-preferred task, without prompting, for approximately 10 seconds at the beginning of the school year, and that only increased to approximately 30 seconds, without prompting, by the end of the school year. Student made minimal progress on her goals. The academic goals she met were all pre-kindergarten level goals, or skills that the other students learned at the beginning of kindergarten. In Ms. Steck’s opinion, Student was perhaps at the beginning kindergarten level in academics by the end of the 2007-2008 year. Ms. Steck acknowledged that Student may have missed some instruction when pulled out of class occasionally for DIS services, even though the District attempted to schedule related services so that Student would not miss instruction in the core curriculum. Ms. Steck did not believe that any instruction Student missed because of pullout DIS services was a significant factor in the limited amount of progress Student made in kindergarten. 15. In Ms. Steck’s opinion, Student did not make as much progress in the general education kindergarten as she should have made over a school year. She believed Student would have made more progress in an SDC, because Student would have able to re-visit skills on a regular basis, through the additional presentations and repetitions that occur in an SDC. Also, Student was a multi-modal learner, who needed visual, auditory, and hands-on learning modes. All of these learning modes are addressed in an SDC. In Ms. Steck’s opinion, the SDC curriculum, and teaching methods could have helped Student to build her academic skills and make more than minimal progress. 16. Michelle Pethtel is a school psychologist, who has been employed by the District since August 2007. She received a B.A. in social ecology from the University of California, Irvine, in 2001, and an M.A. in psychology with an emphasis in marriage and family therapy in 2004. In 2007, she received an M.A. in school psychology, and her Pupil Personnel Credential in school psychology. Ms. Pethtel observed Student in her general education kindergarten class and on the playground at Lincoln once or twice per week at least every other week, for anywhere from 5 minutes to 30 minutes each time. Ms. Pethtel also attended several of Student’s IEP meetings during the 2007-2008 school year. Ms. Pethtel was a credible witness, as she was qualified in her field, and her testimony demonstrated knowledge of her field and personal knowledge of Student, so as to support her opinions. In her opinion, the general education kindergarten program was not appropriate for Student. Student needed more support in the classroom than her one-to-one aide could give. She required more academic assistance, and more small group and individualized instruction than could be provided in the general education kindergarten class. She had difficulty following directions and shifting from one task to another, and she needed hand-over-hand assistance. Student worked on tasks at a lower academic level than the other children in the classroom. 17. Claudell Gapultos, an occupational therapist who has been employed by the District since 2004, testified regarding Student’s progress on her occupational therapy and in the general education curriculum while in kindergarten. Mr. Gapultos received his B.A. in human development in 1998 from California State University, Long Beach, and his M.A. in occupational therapy from the University of Southern California in 2001. He is licensed in California as an occupational therapist, and is certified by the National Board of Certified Occupational Therapists. He also holds a Sensory Integration and Praxis Test (SIPT) certification. Mr. Gapultos observed Student while she was in the general education kindergarten classroom at Lincoln. He provided direct services to her one time per week in the school OT clinic, he worked with her on her goals in the classroom, and he also observed her during recess and lunch, when he helped her open her lunch containers, adjust her backpack, and perform other tasks related to her goals. In his opinion, her skills at the time were at the approximately three-year-old level, such that Student had difficulty accessing and participating in the general education curriculum, even with modifications and accommodations. 18. The series of IEP meetings during the 2007-2008 academic year included an IEP meeting of March 17, 2008. In that IEP, District offered Student placement in an SDC for the 2008-2009 academic year, when Student would enter first grade. The placement also included participation in the general education classroom for 80 minutes per day, including library, lunch, school activities, P.E., recess, and computer. The services offered by the team included direct LAS services four times per week for 30 minutes per session. Two of these four sessions of LAS would be group sessions, and two of these sessions would be individual sessions. In addition, District would provide 30 minutes of collaborative LAS services per week. The IEP team offered group adapted physical education (APE) for 30 minutes per week, individual APE for 30 minutes per week, and APE consultation for 30 minutes per week. The IEP team also offered OT at two sessions per week for 30 minutes per session, and a PT assessment. During the PT assessment, Student’s PT services would continue at their then-current level of two 30-minute sessions per week. The team determined that Student required the following modifications and accommodations for Student to progress in general education: modified curriculum in a small group instructional setting; breaking learning tasks down into manageable chunks; using research-based methodologies/strategies; using a visual schedule and verbal repetition; using strategies for obtaining Student’s attention prior to teaching or testing; using behavioral modification strategies; and using sensory motor activities to assist Student with her attention to tasks. Student attended extended school year (ESY) in summer 2008, pursuant to the Settlement Agreement. 21. Except for this letter, and their conduct in removing Student from the District and enrolling her elsewhere, as described below, there was no evidence that Parents took any specific direct action to rescind the Settlement Agreement, such as filing a civil lawsuit. 22. District convened an IEP meeting on October 10, 2008, at which time the District and Parents discussed the District’s position regarding Student’s placement in an SDC instead of in general education. The IEP stated that Parents agreed with the DIS services from the June 4, 2008, Settlement Agreement, but did not feel that the SDC placement was appropriate. The IEP stated that Student would be able to participate in music, art, and physical education in the general education environment. The District continued to offer the SDC program and related services set forth in the Settlement Agreement of June 4, 2008. 23. Parents withdrew Student from the District after Student attended ESY. During fall of the 2008-2009 school year, they enrolled Student in first grade at the California Virtual Academy, San Diego (CAVA) a charter school authorized by Spencer Elementary School. CAVA operates as its own local educational agency (LEA). Parents enrolled Student in CAVA’s general education, full inclusion, independent mastery-based program during both the 2008-2009 and 2009-2010 school years. Student’s CAVA program was a parent-choice, home-study program, governed by California’s independent study laws. Mother served as Student’s one-to-one “learning coach,” and Student’s instruction was overseen by a general education teacher, who met with Student quarterly. As part of her CAVA program, Student participated in an on-line school, with Mother’s assistance, approximately 70 percent of the time, during which she was taught the California standards-based curriculum and received special education instruction. Student also participated in an on-line virtual classroom up to three times per week, for 45 minutes to an hour each time, with Mother’s assistance. The virtual classroom involved other students, including typical peers, all of whom “virtually” participated in the on-line classroom through their own computers, in their own particular locations. None of the other participants in the on-line classroom were in physical proximity to Student. Also as part of her CAVA program, Student attended a community day school for five hours, one day per week, again with Mother’s assistance. These classes were taught by credentialed CAVA general education teachers. Student’s classmates at the community day school were typical peers. Student’s attendance at the community day school was optional. Student’s CAVA program also included optional educationally-based field trips with typical peers, which occurred approximately once per month. Student received physical education credit from CAVA for participating in Girl Scouts/Brownies and T-ball. The evidence was undisputed that the District was not able to provide a home-study, independent mastery program comparable to CAVA’s. 24. The curriculum in the CAVA general education independent study program was a grade-level curriculum in accordance with California standards. Student participated in the first grade curriculum during the 2008-2009 school years, when she was six and seven years old. Most of her classes during the 2009-2010 school year, when she was seven and eight years old, were also at the first grade level. She only participated in the second grade curriculum in history and art during the 2009-2010 school year. The CAVA curriculum could be modified. In the opinion of Amy Andersen, a special education administrator employed by CAVA, Student’s CAVA curriculum was below Student’s grade level, which was the most significant modification to her curriculum. Ms. Andersen holds a B.A. from Coe College with a double major in psychology and French, and an M.A. in special education from Azusa Pacific University. She holds several California credentials and certifications, including a teaching credential in Special Education, Mild/Moderate, and a Tier 1 Administrative Credential. 25. In spring of 2010, while Student was still in the CAVA program, Parents began to consider re-enrolling Student in the District for the 2010-2011 school year. Mother was considering employment, and she could not do so as Student’s CAVA “learning coach.” Student’s brother attended District’s Davis Magnet School (Davis), a magnet school with an emphasis on math and science. Mother believed that Student could automatically be admitted to Davis as a sibling. Davis’s registration process commenced with the submission of an on-line application. In April 2010, Mother submitted two on-line applications to Davis for Student for the 2010-2011 school year. Mother submitted an application for third grade, since Student would chronologically be a third-grader in fall 2010. However, since Student would only have completed first grade classes as of the 2010-2011 school year, Mother also submitted an application for second grade. 26. Contrary to Mother’s belief, special education pupils such as Student would not automatically be accepted at magnet school programs, even if a sibling attended. In April 2010, shortly after submitting the on-line applications for Davis, Mother spoke to Ms. Huntington, the District’s Executive Director of Special Education, who advised her to communicate with Dr. Rafferty, Davis’ principal, regarding Student’s status. Mother met with Dr. Rafferty and the RSP at Davis, and learned that Student’s admission to Davis would be dependent upon the IEP team. 27. While Parents were exploring the possibility of Student attending school in the District, CAVA was assessing Student in preparation for Student’s triennial IEP. The assessments included a psychoeducational assessment, as well as an LAS assessment and an OT assessment. 29. Ms. Davis’s report described Student as a child with cri du chat syndrome, but with no reported medical concerns. Her hearing had been previously evaluated to be within normal limits, and her vision was 20/30 in each eye. The report summarized Student’s family information and educational history. Ms. Davis reported that Student was participating in CAVA’s “homeschooling program,” where she was in second grade, but working mostly in the first grade curriculum, and listed her special education services: specialized academic instruction in math and language arts for 60 minutes per month, PT for 60 minutes twice per week, LAS for 50 minutes three times per week, and OT for 50 minutes per week (40 minutes direct therapy and 10 minutes per week parent consult). The report noted that Student received ABA therapy through the Regional Center, and that parents provided additional activities. 30. Ms. Davis’s records review included Student’s CAVA IEP, and CAVA report cards, as well as selected school records from District. Ms. Davis noted that the February 10, 2010, IEP addendum contained a review of an augmentative and alternative communication (AAC) evaluation, which recommended a particular AAC device, called Tango! The AAC evaluation recommended Tango! because Student’s ability to plan and execute clear and intelligible speech was significantly below her demonstrated communication abilities while using an appropriate AAC device. However, Student had not received the device as of the time of Ms. Davis’s psychoeducational assessment. 31. Ms. Davis’s report stated that she administered the assessments in a modified manner, such as frequently repeating directions, structuring tasks to improve attention, handing items to Student one at a time rather than placing them on the table, and replacing stimulus items with higher interest items. She also used play-based techniques, parent and teacher interviews, and observation. The report stated that, as a result of the modifications to the standardized instruments, the reported scores may not reflect an accurate comparison to the normative population, and information in addition to standardized test scores should be considered. With the additional information, the report stated that the assessments were considered to be a valid reflection of the Student’s current level of functioning. 32. Ms. Davis’s report described her observations. The assessments occurred in Student’s bedroom, “where the majority of her schooling takes place.” Mother remained in the room during the assessments, to facilitate skill demonstration, to provide translation, and to answer questions regarding Student. The report noted that the Student was able to sit cooperatively for a short period of time during the first assessment session, but she required frequent prompting to focus on the test materials and tasks. Her cooperation and attention during the second assessment session diminished, and she required frequent repetition of directions, maximum prompting, rewards, and breaks. She verbally and physically protested participating in the assessments. Mother told Ms. Davis that this behavior was uncommon. Based on Ms. Davis’s observations of Student in other settings, during which Student’s attention and cooperation were better than during the assessment sessions, Ms. Davis concluded that Student’s performance appeared to depend on familiarity of the task, motivation, fatigue, level of difficulty, and distractions. Mother and several of Student’s service providers advised Ms. Davis that motivation, attention/focus, and compliance were primary factors affecting Student’s daily performance. 33. Ms. Davis reported on Student’s performance on the CTONI. Ms. Davis’s report described the CTONI as a non-verbal cognitive assessment, used to make comparisons between verbal and nonverbal ability and related topics. During the CTONI administration, Student could attend to the sample practice items and test directions. However, Ms. Davis reported that standardized testing and normative comparison were considered unreliable due to Student’s need for prompting, facilitation to respond, and repetition with each item. Because of Student’s multiple disabilities, including her speech and language deficits and motor deficits, it was difficult for her to demonstrate her true cognitive abilities, particularly without the use of an AAC device. Student appeared to process and to understand auditory information, and she could follow verbal directions when paired with a visual prompt or support, such as pointing, or covering up additional words in written text. During her LAS therapy session, Ms. Davis reported that Student’s processing speed with familiar rote tasks took longer when given information to process both visually and verbally, and her speed improved when the visual information was removed. The report stated that Student attended better to visual stimuli with the help of a pointer for tracking multiple pictures or words. Her difficulties with verbal expression and fine and gross motor skills adversely affected her performance. Ms. Davis reported that in the home school environment Mother provided maximum assistance in her daily academic performance due to these impairments. 34. Because standardized testing was unreliable, Ms. Davis gave Mother the Vineland to complete. Ms. Davis’s report described the Vineland as a survey form which assesses personal and social sufficiency. Mother rated Student in the Communication Domain, the Daily Living Skills Domain, and the Socialization Domain. Her standard scores ranged from 69 (2ndpercentile) in the Socialization Domain (the low range), to 76 (5thpercentile) in the Daily Living Skills Domain (the moderately low range). Her composite standard score was 71 (3rdpercentile), which fell within the low range. Mother reported to Ms. Davis that Student was able to understand most information said to her, and could follows simple directions using at least two actions and two objects. She could identify colors and body parts, and attend to a story for at least 15 minutes. In Daily Living skills, Mother reported that Student could remove her clothes and put on clothing that opened in front. She could independently feed herself with utensils, and could help prepare foods. She helped with simple household chores, sometimes cleaning up her personal possessions, and could partially use simple appliances such as a toaster or bottle opener. She walked on the sidewalk and understood how to behave in the car. She understood the concept of telling time and was learning the concept of money. 35. Ms. Davis assessed Student in the academic areas using the WCJ-III. She noted that Student was participating in the second grade curriculum for history and art, and in the first grade curriculum for all other subjects. She reported that selected subtests were used in a modified manner. Therefore, reported scores may not reflect an accurate comparison to the normative population. 36. On the Letter/Word Identification subtest, Student was able to point to and label letters as well as some single-syllable words. She scored a grade equivalence of 1.6. On the Passage Comprehension subtest, Student would match rebus pictures to pictures of objects, such as cat, chair, and dog. She had more difficulty while attending to tasks that required her to read descriptive words and choose which picture represented the words. Ms. Davis postulated that her performance was impacted by diminished motivation and compliance. She scored a grade equivalence of K.5. Ms. Davis could not obtain a score on the Understanding Directions subtest because Student could not comply without additional prompting and repetition of directions. Student scored a grade equivalence of more than 3.4 on the Writing Samples subtest. She could complete sentences by accurately writing a missing word, although her writing was nearly illegible, and she needed hand-over-hand assistance and verbal prompts regarding how to produce the letters and how hard to press on the paper. Student was beginning to use the keyboard for writing tasks, with Mother’s handon-hand assistance. 37. Ms. Davis’s report commented that Student’s oral reading skills of single words and sentences were inconsistent. At times she could read by sounding out and by sight, at other times, she required prompting to focus and to phonetically read the material. She generally required a place holder such as a finger or pencil to track each word and/or each sound. Her fluency was limited primarily because of her speech deficits. Ms. Davis viewed a video of Student, and observed that Student would answer comprehension questions by choosing between two answers, which alleviated the requirement to express answers in detail. 38. With regard to math, Student could add and subtract by tens and ones. She had learned some graph work and could tell time. She could use a ruler to practice and estimate measurement. During the assessment, with facilitation, she could count with one-to-one correspondence and used pegs to count by tens. She was learning to use a calculator. 39. Ms. Davis concluded that standardized cognitive testing and normative comparison was unreliable due to Student’s multiple disabilities and difficulty demonstrating her true ability. Ms. Davis’s report elaborated by stating that Student’s true skill levels and standardized sores were difficult to obtain because of Student’s variability in performance, depending upon familiarity of the task, motivation, fatigue, level of difficulty, environmental distractions, and her need for adult assistance to perform tasks. She concluded that Student’s deficits negatively impacted her ability to access the general education curriculum and recommended that the team consider an educational setting that could support her ability to function in her identified areas of need. 40. Ms. Lopez criticized Ms. Davis’s assessment, because she was unable to obtain valid assessment results. In Ms. Lopez’s opinion, assessments to Student could have been administered in a valid manner without a communication device, and nonverbal instruments could have been used, as Ms. Lopez demonstrated in the assessment she administered to Student in 2007. 41. Ms. Pethtel, another District psychologist, also criticized the CAVA psychoeducational assessment. She criticized Ms. Davis for only using measures which had to be modified so as to produce invalid and unreliable results. She suggested that Ms. Davis could have used the KABC-II. She believed that the Vineland was a good measure, but Ms. Davis should have given the ratings scales to more individuals, such as Student’s speech and language pathologist (SLP), or the occupational therapist, and not just to Mother. Ms. Pethtel did not believe that the WCJ-III was appropriate for Student, as the sample items were too difficult for her. She believed the Brigance would have been a more appropriate instrument, as it would have been an easier test for Student. Overall, Ms. Pethtel expressed concern that Student was functioning at a lower level than the assessments reflected, because, to get any types of scores, Ms. Davis had to modify the tests. For the reasons given above, Ms. Pethtel was a credible witness on these matters. 42. CAVA retained Kids Talk, Center for Speech and Language Pathology Services (Kids Talk) to perform an LAS assessment of Student. Kids Talk had provided LAS services to Student since September 9, 2009. Canela Panagiotopoulos, an SLP at Kids Talk who provided LAS services to Student, assessed Student over five days in May 2010, and generated an assessment report on May 17, 2010. No personnel from Kids Talk testified at hearing. 43. Ms. Panagiotopoulos used the following assessment instruments: Clinical Evaluation of Language Fundamentals-4 (CELF-4); Receptive One-Word Picture Vocabulary Test (ROWPVT); Expressive One-Word Picture Vocabulary Test (EOWPVT); Goldman Fristoe 2 Test of Articulation (GFTA-2); Kaufman Speech Praxis Test for Children; and informal assessment and observation. 44. The report noted that Student participated in all testing with breaks between subtests to help sustain attention. She maintained adequate focus to complete tasks. The report stated that Student may have visual and auditory processing difficulty that may affect her ability to perform during standardized testing. Formulation of speech during many expressive language tasks was difficult due to her motor speech disorder and not having an AAC device. The report noted that standardized test scores should be viewed with caution as they may not always give an accurate picture of Student’s true abilities. 45. The report noted that the CELF-4 measured Student’s strength and weaknesses in the areas of expressive and receptive language. The report stated that a Core Language score on the CELF-4 could not be obtained, as Student achieved a “0” score on some subtests. The report described Student’s index scores on the various CELF-4 domains. Student received a Receptive Language index score of 49 (percentile rank less than 0.1), which placed Student in the very low range of functioning. The Expressive Language index could not be reported, as Student achieved a “0” score on some subtests. Also, the Language Structure Index and Working Memory Index scores could not be reported, as the assessor did not administer the minimum number of subtests required to obtain those scores. 46. Ms. Panagiotopoulos administered the ROWPVT to assess Student’s understanding of single word vocabulary. Student achieved a standard score of 98 (percentile rank of 45; age equivalent of 7-10), which was within the average range. The assessor administered the EOWPVT to assess Student’s expressive vocabulary at the single word level. Student achieved a standard score of 81 (percentile rank of 10; age equivalent 59), which was in the average range. 47. Ms. Panagiotopoulos administered the GFTA-2 to assess Student’s articulation skills at the single word level. She achieved a standard score of 40 (percentile rank less than 1 percent; age-equivalent of 2-7), which was in the low range. 48. Ms. Panagiotopoulos administered the Kaufman Speech Praxis Test to assess Student’s ability to plan and execute motor speech. Since it is a norm-referenced test for children up to six years old, the assessor informally administered the test for informational purposes. Based on the results of this instrument, the assessor concluded that Student exhibited several characteristics of verbal dyspraxia. 51. Mother reported to the team that Student was grasping concepts with money and geometric shapes, and performed better when material was presented in an auditory mode. She participated in Girl Scouts/Brownies, with typical peers, and was on a T-ball team with typical peers. She participated in the classroom at the Community Day School with typical peers, where she followed instructions. She interacted with peers on the playground. She independently ate lunch with peers, and had play dates with typical peer friends. It was difficult for her to engage in conversations as she did not have an AAC device. Mother stated she modified “things” for Student as needed, and was pleased with Student’s growth. 52. The team discussed Student’s assessments. A CAVA general education teacher had administered a Bader assessment in English and math to Student, in person, on March 30, 2010. The Bader is an informal assessment that CAVA general education teachers use to assess a pupil’s progress. The Bader reflected that Student was at a Non-Reader Pre-Primer (below first-grade) level. She read word-by-word, very slowly. Her decoding was impeded by her speech disability. She was unable to retell the story on which she was tested, but she answered all of the comprehension questions correctly, at the pre-primer level. Mother was very involved with the assessment. Mother had to interpret most of the spoken words for the assessor. Mother also used small cards to cover up words and to help Student track the words she was reading. The assessor did not feel comfortable giving an independent score on this assessment, and she did not believe Student could read a passage without constant prompting and prodding. Student’s reading was extremely choppy, and one word at a time. Often she read the ending sound first. If forced to give a level, the assessor would have rated Student at Pre-Primer, but acknowledged that Student’s level could be higher as Student comprehended the pre-primer passage well. 53. In math, Student obtained a level of 1.5 on the Bader assessment. For number identification, Student used a whiteboard to write the numbers one at a time instead of pointing to all the numbers. Student knew all the numbers. She used counters (manipulatives) to do addition problems. She was unable to subtract 7-3 without using counters. 54. Based on reports from CAVA’s on-line school, the team noted that Student was working at the first grade level in math, language arts, and science, and at the second grade level in history and art. Her current completed progress was 83 percent in math, 78 percent in phonics, 75 percent in language arts, 74 percent in history, 89 percent in science, 79 percent in art, and 69 percent in music. The CAVA on-line school reported that Student had recently mastered the following math objectives: finding the value of a group of coins consisting of dimes, nickels, and pennies. In language arts, Student completed the following objectives: identifying adjectives that describe colors, writing adjectives that describe colors in sentences, listening and responding to a variety of literature, and identifying nouns that adjectives describe. The on-line school results were generated by on-line assessments and by collecting data from the Student’s learning coach, and therefore they are not as objectively verifiable as are the Bader test results. At hearing, Ms. Andersen believed that the on-line school report regarding Student’s abilities was not consistent with the Bader test results. For example, on the Bader, Student had not been able to add and subtract from 1 to 10, but she could do so during the on-line school testing. Additionally, the Bader results did not indicate that Student could read, as was indicated by the on-line testing. Ms. Andersen questioned whether Student was able to perform all of the work as reported by the CAVA on-line school. Ms. Andersen believed that, in general, the information gathered by the general education teacher in person regarding a pupil’s progress was more significant than the information that the on-line school gathered. Ms. Andersen explained that parents or learning coaches did many accommodations and modifications in the on-line school, and the on-line school did not note those accommodations and modifications. 55. The team reviewed Student’s LAS assessment, and, consistent with Ms. Panagiotopoulos’s report, noted that Student had receptive and expressive language delays and reduced speech intelligibility, which may impact her ability to participate in the general curriculum. The team recommended that Student receive LAS therapy. 56. The team reviewed Student’s OT assessment, stating that Student presented with significant gross motor delays, which impacted her ability to participate in her education with maximal functional independence and safety. The team recommended Student receive direct PT services. 57. The team noted Student had cri du chat syndrome, which was characterized at birth by a high-pitched cry, low birth weight, poor muscle tone, microcephaly, and potential medical complications. Parent stated Student as healthy and was not on any medications. The team noted Student received in-home ABA therapy through the Regional Center. 58. The team determined that Student required an AAC system, and that she would have the Tango! AAC device on a trial basis. The team noted that Student’s behavior did not impede her learning or that of others, and that Student’s areas of need were reading, math, writing, speech and language, gross motor, and fine motor. The team determined that Student would participate in the California Standards Tests in English Language Arts, Mathematics, Science, and History-Social Science, with testing accommodations consisting of one-on-one testing, frequent breaks, and extended time. 59. The team agreed upon 19 goals, and nearly all of them listed the RSP or special education teacher as a responsible person for implementing the goals. The goals included the academic areas of mathematics, reading (phonemic awareness), and reading comprehension. Student’s goal in mathematics was to count whole numbers to 100, using assistive technology (AT), reading, or writing, with an average of 85 percent accuracy on three consecutive trials. The IEP stated as a present level of performance that Student could point to numbers to 100 with prompts 80 percent of the time. Ms. Steck and Ms. Pethtel characterized the mathematics goal as a kindergarten-level goal. General education second-graders would be working on completely different tasks, such as one-step and two-step word problems using addition, subtraction, and multiplication, as well as graphs. Student’s phonemic awareness goal was to identify initial, middle, and ending sounds when given 10 words orally, with 85 percent accuracy in three consecutive trials. The IEP stated, as a present level of performance, that Student was able to identify such sounds with 2-3 prompts with 70 percent accuracy. Ms. Steck characterized the phonemic awareness goal as a kindergarten-level goal. Student’s goal in reading comprehension was to retell the central idea of selected instructional level text using AT with an average of 85 percent accuracy in three consecutive trials. The IEP stated, as a present level of performance, that Student could retell the main idea of a text with several prompts. Neither Ms. Steck nor Ms. Pethtel could discern the grade level of this goal, as it would depend on the level of the selected text. If it were a second grade level goal, Ms. Steck explained that second graders would be required to write a summary of the text, make predictions, answer questions about the text, and perhaps make comparisons. 60. The IEP team also agreed upon goals for OT, PT, LAS, and behavior. Student’s LAS goals included an articulation goal, requiring her to interact with three different communication partners during at least three different activities. Two expressive language goals involved Student using her AAC device to produce statements, ask and answer questions, and take conversational turns with adults and peers in various social contexts. Student’s behavior goal involved turn-taking with a small group of peers during her session at the Community Day School. Ms. Steck characterized this goal as a kindergarten-level goal. 61. The team offered placement in the CAVA full inclusion, general education, independent study program, pursuant to Mother’s request. The team also offered specialized academic instruction in math for 60 minutes per month; specialized academic instruction in language arts for 60 minutes per month; individual PT for 60 minutes, twice per week; individual LAS for 50 minutes, three sessions per week; and individual OT for 50 minutes per week (40 minutes weekly direct therapy, and 10 minutes weekly parent consult), all to commence on May 19, 2010. The team also offered these levels of services for ESY, to commence on June 17, 2010, and end on July 30, 2010. The IEP provided that the special education teacher would provide additional support via email, phone, and on-line to the general education teacher and parent. The team listed the following accommodations and modifications: (1) allow additional time to complete assignments; (2) allow for frequent breaks during assignments, (3) reduce assignments (which would not affect mastery/skill level), (4) break assignments into smaller segments, (5) simplify complex directions for assignments; and (6) repeat assignment directions. The team determined that Parents would be informed of Student’s progress on a semester basis through a summary report. 62. The team noted that Mother had signed the previous annual IEP of November 10, 2009, and the addendum IEP of February 10, 2010. The team reviewed Student’s progress on 12 previous IEP goals. Student had only partially met her three math and reading goals. 65. Mother signed the IEP on June 10, 2010, with certain corrections. In addition to the correction regarding the effect of Student’s developmental and communication delays upon Student’s language, noted above, Mother conveyed the recommendation of Student’s music therapist to incorporate music into Student’s education and therapy; specified that Student would not be trying the Tango! AAC device but rather another device; noted that Student’s educational settings in the CAVA program also included working with peers; and made several other minor comments. 3This statement also referred to Mother choosing a change of placement. The change in placement to which the team referred was the change from the SDC placement agreed to in the June 4, 2008, Settlement Agreement. 66. In May 2010, after meeting with Dr. Rafferty and the RSP teacher, Mother contacted Karen Bentley, the District’s area Special Education Coordinator. Ms. Bentley has been a Special Education Coordinator in the District since 2005. She received her B.S. from the University of Wisconsin at Madison in child development. She received her M.Ed. in education, with a concentration in special education-early childhood, from the University of Washington and an M.A. in school psychology from San Jose State University. She has served as a school psychologist for the Monterey County Office of Education and several other school districts in California since 1994. She holds an Administrative Clear Credential, a professional Clear Pupil Personnel Credential in school psychology, a Clear Specialist Instruction School Credential in special education, Learning Handicapped (Mild/Moderate); and a professional Clear Multiple Subject Credential. Ms. Bentley advised Mother that the District required Student’s most recent CAVA IEP and the CAVA assessments, and that the District wished to perform its own assessments. By email of May 18, 2010, Ms. Bentley sent Mother an assessment plan for Mother to sign and return. Ms. Bentley requested assessments because she thought that CAVA was a private school, and the District required assessments in that situation. Also in that email, Ms. Bentley stated she would send Mother an authorization for release of Student’s CAVA records, and she mentioned that Mother needed to enroll Student in her home school, so that the District could update Student’s records. 67. On June 14, 2010, Mother came to Ms. Bentley’s office and dropped off the May 19, 2010, CAVA IEP as well as the CAVA assessments for the District to copy. These assessments included the CAVA triennial psychoeducational assessments, and the triennial OT and LAS assessments. At some point, Mother also provided the District a CAVA AT assessment dated January 29, 2010, with a revision date of February 24, 2010. There was conflicting evidence as to whether Mother dropped off her signed version of the CAVA IEP for copying. Mother testified that she had done so. Ms. Bentley testified that the IEP that she received from Mother for copying was unsigned. In this regard, the copy of the IEP that District produced at hearing was not only unsigned, but also had on it copies of post-it notes covering portions of the text of the IEP. The post-it notes had writing on them that Mother identified as her proposed changes to the text of the IEP. Ms. Bentley testified that she received no other version of the May 19, 2010, CAVA IEP until after Student filed her Complaint, when Student provided District with copies of the exhibits Student expected to use at hearing. Among those exhibits was a copy of the May 19, 2010, CAVA IEP that bore Mother’s signature. It did not have copies of post-it notes on it, and its text did not include any of the content that appeared on the post-it notes on the document that District produced at hearing. The copy of the IEP Mother produced at hearing, unlike the copy the District produced at hearing, also bore a handwritten change, bearing the initials of Cori Coffey, (Student’s CAVA special education teacher), and Mother, with respect to the portion of the IEP headed: Describe How Student’s Disability Affects Involvement and Progress in the General Curriculum, which changes were discussed above. Under these circumstances, the weight of the evidence demonstrated that, on June 14, 2010, Mother gave the District an unsigned version of the May 19, 2010, CAVA IEP to copy. 68. Ms. Bentley reviewed the CAVA IEP and the assessment reports by late June 2010. She had several concerns regarding CAVA’s psychoeducational assessment and IEP. She was concerned that the CAVA psychoeducational assessment was not valid, as Ms. Davis was required to modify the administration of the tests, as noted in Ms. Davis’s psychoeducational assessment report and in the CAVA IEP. Ms. Bentley was also concerned that Ms. Davis’s assessment did not include processing assessments. Ms. Bentley also questioned Student’s Bader scores as reported in the CAVA IEP, as Mother was required to assist Student in the assessment tasks. She did not understand how Student could have been completing the first grade curriculum as stated in the IEP, yet, according to the Bader results, Student could not read. Therefore, Ms. Bentley believed that further assessments were required. 69. Ms. Bentley was also concerned that some of the goals in the CAVA IEP were not sufficiently clear or specific, and/or were lower than a first or second grade level, or did not correspond with the present levels of performance. Ms. Bentley questioned whether the CAVA IEP offered a FAPE, in that the IEP contained numerous goals, Student had many needs, and the related services were extensive, yet the IEP only provided for one hour per month special education instruction in math, and one hour per month special education in language arts. Ms. Bentley noted that the IEP stated that Student’s multiple disabilities adversely affected Student’s progress in general education in all areas of the curriculum. She also observed that the IEP contained “disclaimers” questioning whether the CAVA full inclusion, general education independent study program that Mother had chosen was appropriate for Student. Based on her analysis of the CAVA assessments and the CAVA IEP, Ms. Bentley felt that Student should not be placed in a general education curriculum. As well, Ms. Bentley was under the impression that Parents had not consented to the CAVA IEP, as the only copy she had of it was unsigned, and it included copies of handwritten post-it notes as to the changes Mother wished to be incorporated in the IEP. Ms. Bentley did not verify with Parents that the CAVA IEP had been signed. Mother testified that she had orally advised Ms. Bentley that the CAVA IEP had been signed, but Mother offered no details as to the conversation in which she imparted this information to Ms. Bentley. Regardless, Ms. Bentley acted at all relevant times under the assumption that the May 19, 2010, CAVA IEP had not been signed. 70. During summer 2010, Ms. Bentley reviewed Student’s educational records from the District, and continued her efforts to obtain a signed assessment plan from Parents. On June 30, 2010, she sent another assessment plan for signature, which she had amended to include an AT assessment. Mother was reluctant for the District to assess Student, as CAVA had just performed the triennial, and Student did not perform well on standardized tests. Mother did not believe that Student’s performance on standardized assessments reflected Student’s true abilities. By letter dated July 1, 2010, Parents advised Ms. Bentley of their belief that placement decisions must be made according to the LRE, and not on specific test results, academic level and competencies, and/or on her last District placement. Upon receipt of this letter, Ms. Bentley unsuccessfully attempted to schedule a meeting between Parents and Ms. Huntington, the District’s Executive Director of Special Education, so that Parents could be advised of the requirements of the IDEA regarding LRE, and to review Student’s CAVA placement. However, neither Ms. Huntington nor Parents were available such that a timely meeting could be held over the summer. 71. On July 12, 2010, Mother signed the assessment plan and returned it to the District, because she believed that the District would not offer Student a placement prior to the start of the fall semester unless she signed the assessment plan. However, Parents rescinded Mother’s consent to the assessment by letter dated July 21, 2010. In that letter, Parents reiterated their disagreement with the District’s desire to assess Student, as CAVA had “thoroughly and completely” assessed Student the previous May, Parents had given the District all of the assessments, and it would be onerous and stressful for Student to be reassessed. Parents’ letter also repeated their view that the District’s placement decision was not dependent on the assessments, and also asserted that the assessments could not be completed before the start of the school year. 72. During the spring and summer of 2010, Ms. Bentley and Parents communicated frequently regarding the CAVA IEP and assessments, Student’s possible placement, the assessment plan, District’s need for assessments, and other topics concerning Student. These communications included approximately 18 emails between Ms. Bentley and Mother, as well as several telephone conversations. With respect to placement, Parents conveyed to District their belief that the District had to adopt the May 19, 2010, CAVA IEP, which, in their view, meant that Student would be placed in a general education classroom, preferably at Davis. Ms. Bentley, based upon her mistaken belief that Parents had not consented to the May 19, 2010, CAVA IEP, as well as her concerns about the sufficiency of the CAVA IEP, believed that the Settlement Agreement between District and Parents dated June 4, 2008, contained the last consented-to educational program, and should be the primary source for Student’s initial 30-day placement in the District. Mother and Ms. Bentley had a heated telephone conversation regarding the appropriateness of placing Student in a general education class as opposed to an SDC. 73. During the summer of 2010, Parents began to consider private schools which might be suitable for Student, as they were concerned that the school year would begin and the District would not have made an offer of placement or services to Student by then. Student was admitted to St. John’s on a two-week trial basis, commencing on August 23, 2010. Student successfully completed the two week trial on or about September 6, 2010, and remained continuously enrolled in St. John’s through the time of the due process hearing. Student’s program at St. John’s is further discussed below. 74. On August 31, 2011, Ms. Bentley, Mother, and Student’s advocate Theodora Parnavelas met to discuss Student’s interim placement. At the meeting, Ms. Bentley presented to Mother and her advocate a one-page document entitled Interim Placement Request, which was a computer-generated form that Ms. Bentley had partially completed. The form stated that each program or service would be provided beginning September 7, 2010, (the first day of school) and ending October 7, 2010. The form stated that Student would be placed in an SDC five days per week, for 5 hours per day. Additionally, Student would receive a one-to-one aide five days per week for six hours per day, and “Int. Ind. Service-District Specialist” on an Individual/Collaborative basis for one hour per week. Ms. Bentley intended for this specialist to be an inclusion specialist, to address Student’s participation in the general education environment, but the menu on the computerized form did not permit such a specific designation. She explained to Mother, however, that this person would be an inclusion specialist, who would identify areas in which Student could participate in general education, and would assist in modifying the curriculum in the SDC and supporting the one-to-one aide in the SDC. Mother did not ask questions about the inclusion specialist. The form also listed the DIS services offered by the District: PT one time per week, for 60 minutes each session, on an individual basis; LAS four times per week, for 30 minutes each session, on a group basis; and OT two times per week for 30 minutes each session, on an individual basis. The offer was based on the information that Ms. Bentley had received from Mother regarding CAVA, and primarily on the placement and services in the Settlement Agreement, which Ms. Bentley understood was the last signed and implemented agreement for placement and services. Since CAVA was primarily an in-home program, District could not offer a program to Student that was comparable to CAVA’s program. 75. During the meeting, Mother pointed out to Ms. Bentley that the offer included only 120 minutes per week of LAS, whereas the CAVA IEP offered 150 minutes per week of LAS. Mother also advised Ms. Bentley that Student’s LAS services from CAVA were individual services, and not group services. Ms. Bentley then changed the form, in her handwriting, increasing LAS services to 5 times per week, for 30 minutes each session, thereby matching the weekly minutes of service on the CAVA IEP of May 19, 2010. Instead of changing all of Student’s LAS services to individual services, she wrote on the form that the services would be group or individual, to be determined by the SLP. Mother also advised Ms. Bentley that Student was receiving PT services from CAVA twice per week, for 60 minutes. Ms. Bentley then changed the form to offer PT twice per week for 60 minutes, as Mother requested. 76. At hearing, Mother’s testimony and Ms. Bentley’s testimony differed with respect to how much Ms. Bentley explained about the interim placement offer at the August 31, 2010, meeting. Ms. Bentley testified that she explained that Student would be placed in a mild-to-moderate SDC, but that she did not know at the time of the meeting the precise SDC at which Student would be placed. The SDC would have approximately seven children. Ms. Bentley discussed with Mother the SDCs at Lincoln and at Sonora Elementary, another school in the District, which Ms. Bentley thought were the most likely placement options for Student. Ms. Bentley also did not know at the time of the meeting the grade in which Student would be placed, as Student was not then enrolled. The computer would not let her specify whether the SDC was mild-to-moderate, and she did not write it in, as handwritten information did not usually get entered into the computer. The mild-to-moderate SDC provided access to the general education core curriculum at all grade levels. Mother testified that Ms. Bentley did not explain the SDC placement offer, but that DIS services were discussed at the meeting. Mother felt the offer was presented on a “take it or leave it” basis. Mother also testified that she did not understand from the offer whether Student would have any access to typical peers or to the general education curriculum, but neither she nor her advocate asked any questions about these matters. There was no evidence that Mother or the advocate asked Ms. Bentley about P.E. services during the meeting. P.E. was a normal part of the curriculum in an SDC, and would have provided Student an opportunity to participate in the general education environment. There was no evidence that Ms. Bentley refused to address any questions posed by Mother or her advocate at the meeting. 77. Mother and her advocate rejected the offer at the meeting. Ms. Bentley made a copy of the Interim Placement Request, gave it to Mother, and the meeting ended. 78. Parents sent a letter to Ms. Bentley dated September 6, 2010, stating that they did not agree with the proposed placement in an SDC class. In the letter, they requested Student be placed in a regular education class in either Davis or College Park, and that District fund the DIS services described in the CAVA IEP of May 19, 2010, which would be provided by the present non-public agency (NPA) providers after school. If District did not place Student in a general education class at Davis or College Park, the letter stated that Parents would enroll Student in a “regular private school to attend a regular 2nd grade class, and seek reimbursement.” The letter did not mention that Student had been attending St. John’s on a trial basis since August 23, 2010, or that Student was still enrolled at CAVA. 79. Subsequently, on September 28, 2010, Ms. Bentley sent Parents a letter explaining why the District’s interim placement offer was appropriate and provided a FAPE. The letter noted that CAVA’s psychoeducational assessment was unreliable, and mentioned the assessor’s recommendation that Student’s deficits negatively impacted her ability to access the general education curriculum. The letter described the mild-to-moderate SDC program as a program designed to provide support to Student so that she could access the general education curriculum. The letter explained that Student would be mainstreamed in general education for art, music, P.E., lunch, recess, library, computer lab, and assemblies. The letter denied Student’s request for reimbursement for private school placement and request for NPA services, as District would provide DIS services once Student enrolled in the District. The letter also offered to conduct a psychoeducational evaluation. 80. In Ms. Bentley’s opinion, at the time of the interim placement offer, placement at the Davis magnet program would not have been appropriate for Student, as it only offered an RSP pull-out program, which would not address Student’s difficulties with accessing the core curriculum. The magnet program, or any general education classroom, was fast-paced, the class sizes were large (approximately 25 students), and the curriculum would have to be specially modified for Student. Student’s one-to-one aide would not be qualified or able to modify the curriculum. In contrast, the teaching in an SDC would be slower-paced, would include more repetition, and would involve more opportunities to develop vocabulary. Moreover, the curriculum in an SDC was already modified so that Student could access its content. Still, the curriculum was a general education curriculum, with exposure to the core elements of the core curriculum, all taught by a special education teacher. In Ms. Steck’s opinion, based upon the CAVA goals and Student’s performance in the general education kindergarten during the 2007-2008 school year, the District’s interim placement offer in a mild-to-moderate SDC was an appropriate placement in the LRE. Ms. Steck believed that a general education teacher would have difficulty teaching Student a specially modified curriculum that was different from the general curriculum the teacher was presenting to Student’s classmates. Ms. Steck also questioned whether, if the curriculum required intensive modifications, it would be so altered that it would no longer be a grade-level curriculum that met state standards. 81. Ms. Pethtel also believed that a mild-to-moderate SDC was an appropriate placement in the LRE, based upon the level of goals in the CAVA IEP, and her observations of Student in the general education class at Lincoln. Ms. Pethtel also stated that a second-grade general education classroom was not appropriate for Student, as she still appeared to have the same difficulties with academics, with following directions, and with the need for hand-over-hand direction as she had two years prior to the hearing, when she attended Lincoln. Ms. Pethtel believed that Student’s progress had been slow over the past two years. Mr. Gapultos, the District occupational therapist also stated that, based upon his experience with Student, and the CAVA OT evaluation he had reviewed, he believed that an SDC, and not a second grade general education classroom, would have been the LRE. In his opinion, she would have made more progress in an SDC in kindergarten, where OT skills, such as fine motor skills, are embedded in the curriculum, and there would be more individualized assistance with OT skills and also academics. The general education kindergarten curriculum moved too quickly for her, and the tasks were too difficult. She had difficulty accessing and participating in the curriculum, even with modifications and accommodations. 82. Student never enrolled as a pupil in the District for the 2010-2011 school year, but remained enrolled in CAVA until at least December 17, 2010, and was also enrolled at St. John’s from August 23, 2010, through the time of the hearing. 84. On December 17, 2010, Parents submitted written notice to CAVA that they were withdrawing Student from CAVA. Since this notice was received on the eve of CAVA’s winter break, CAVA did not process the withdrawal until January 11, 2011, directly after the end of winter break. CAVA provided all of the DIS services in the CAVA IEP, including LAS, PT, and OT services, through December 17, 2010. 85. On or about September 6, 2010, Student formally enrolled in a second grade, general education class at St. John’s, which was taught by a general education teacher and had approximately 33 students. St. John’s had an RSP teacher, but she did not feel qualified to teach Student or to modify Student’s curriculum. St. John’s required that Parents hire a one-to-one aide to assist Student in class, and that Parents pay for all DIS services. At first, Mother served as Student’s one-to-one aide, but as the school year progressed, Parents hired various one-to-one aides. When the aides were absent, Mother or Father served as substitute aides. 86. St. John’s offered none of the related services in Student’s CAVA IEP, such as LAS, OT and PT. St. John’s did not implement the goals in Student’s CAVA IEP, except to the extent that the subject of the goals happened to coincide with St. John’s curriculum. For example, CAVA goal number 5 involved Student following two-step directions with embedded concepts. This was a goal that Student could work on at St. John’s as an incidental part of her curriculum. Similarly, Student could work on CAVA goal number 11 which involved Student identifying initial, middle, and ending sounds, as an incidental part of Student’s curriculum at St. John’s, even though it was not a second-grade level goal. There was no evidence that Student was actually working on these goals at St. John’s, or that St. John’s was measuring Student’s performance on these or any other goals in CAVA’s IEP. 4 Student’s closing brief asserts that she remained enrolled in CAVA until December 2010 to obtain an AAC device from CAVA, because the District had previously failed to provide her with an appropriate AAC device. Student contends that the District’s alleged failure to provide her an appropriate AAC device deprived her of a FAPE. Student did not allege this issue in her Complaint. Based on Education Code section 56502, subdivision (i), this Decision will not address whether the District deprived Student of a FAPE by allegedly failing to provide her an appropriate AAC device. 87. Student did not receive an ordinary report card with grades such as “A,” “B,” and “C,” while at St. John’s. Rather, she received report cards in narrative form. Parents hired Stephanie Mitchell Cosey, M.A., as an inclusion specialist in August 2010, at or about the time Student began to attend St. John’s, to support Student’s education at St. John’s. Ms. Cosey received her B.A. from California State University, Fullerton, in 2003, and her M.A. in special education from California State University San Bernardino in 2008. She holds a California Clear Credential for Moderate/Severe, and is eligible for a Preliminary Credential in Mild/Moderate, but she was never employed as a Mild/Moderate special education teacher so as to obtain that credential. She has been employed by the Pasadena Unified School District for seven years as a moderate/severe special education teacher, where she teaches adult transition special education students who are 18 to 22 years of age. She taught a moderate/severe middle school SDC for three months early in her career at Pasadena Unified School District, and then taught a moderate/severe high school SDC there, prior to her current assignment teaching the adult transition students. Since 2002, she has had a separate business assisting individual special education students in elementary, middle school, and high school in a variety of ways, including modifying their curriculums and assisting them in their school work. 88. Ms. Cosey has observed Student at home and at St. John’s, and she has instructed Student for an hour or two on a one-to-one basis during her occasional visits to Student’s house. In general, Ms. Cosey modified Student’s curriculum at St. John’s, including tests, so that Student could access the curriculum. Ms. Cosey also has participated in Individual Learning Plan (ILP) meetings for Student at St. John’s, and helped to develop Student’s ILP. She has worked with school staff regarding Student’s curriculum, and has trained Mother and Student’s aides regarding how to modify the curriculum. Ms. Cosey believed that Student’s aides required more training at school regarding how to modify the curriculum, but she did not specify who should provide that training. 89. Student needed Ms. Cosey’s expertise to modify her curriculum at St. John’s, because the curriculum had too much content for Student to absorb each day, included a variety of subjects, and was fast-paced. Ms. Cosey used various computer programs, such as Intellitools, to modify Student’s curriculum and to help Student understand the curriculum. 90. Ms. Cosey modified all of Student’s math tests. Mother and Student’s aides modified her curriculum in math daily. While the other pupils worked on the class math assignment, Student worked on her modified math curriculum, and also some of the class assignments. Ms. Cosey modified Student’s reading and writing assignments and tests. Ms. Cosey modified tests by taking out vocabulary, or by revising the text into simpler words. Student was not cognitively able to write a complete paragraph, with an opening sentence, supporting sentences, and closing statement, in accordance with the second grade state standard. Rather, at the time of hearing, Student could write two sentences on a topic, with an assistive device, averaging four words per sentence. 91. Ms. Cosey initially modified Student’s science curriculum, but, as of the time of the hearing, Student took the same tests as the other students, and appeared to understand the curriculum. However, her test results were uneven, and sometimes she only had one or two questions correct. Ms. Cosey did not believe Student’s accuracy was as important in science as was her independence in taking the tests. The primary purpose of the ILP, and of Ms. Cosey’s work with Student, was so that Student could work as independently as possible. 92. Ms. Cosey admitted that she provided far more special education services than those listed on the CAVA IEP of May 21, 2010, and acknowledged that CAVA’s independent mastery program would not allow the extensive modifications that she applied to Student’s curriculum. In her opinion, Student could not have performed in CAVA’s independent mastery program without modifications. Ms. Cosey only billed Parents for 21 hours of service for a total of $1,490, but she had spent many more than 21 hours in modifying Student’s curriculum. At hearing, she was reluctant to state precisely how many hours she spent modifying Student’s curriculum, but she spent approximately 20 hours every week, which did not include communicating with Mother, and Student’s teachers and aides about Student’s program, or teaching Mother and Student’s aides how to modify Student’s curriculum. She wanted to spend more time with Student, because Student had a large number of tests and class assignments. She acknowledged that Student needed curriculum modifications to be successful in a general education placement, and that she modified Student’s curriculum far more extensively than would be required in a special education program. Ms. Cosey characterized her work with Student’s program as “intensive,” in terms of the amount of curriculum modifications, and the frequent communications with Mother, Student’s teachers, and the aides. She did not believe that Student would be able to do the same work as her classmates at St. John’s without the curriculum modifications. She testified that Student’s classmates at St. John’s were friendly toward Student, and she enjoyed their company. 93. In Ms. Cosey’s opinion, the CAVA program was an inclusion program, because Student spent much of her day with non-disabled individuals. Student was not in a classroom with disabled peers, she participated in activities with non-disabled peers such as baseball and Brownies/Girl Scouts, and she went out into the community with non-disabled peers. Ms. Cosey also stated that, in the CAVA program, Student could access the general education curriculum in an inclusion setting, such as in a library or elsewhere in the community in the company of typical peers. Ms. Casey based her opinion partly on her belief that Student attended the CAVA community day school two to three days per week. 94. Ms. Cosey believed that the CAVA psychoeducational report provided a true representation of Student’s ability, but she acknowledged that school psychologists are not permitted to modify assessments. Ms. Cosey believed that a general education curriculum was not taught in an SDC. She elaborated that, for the most part, pupils in an SDC were taught a curriculum that met state standards, but, for a child like Student, who was moderately to severely disabled, the curriculum was not taught at grade level. She was also concerned that, since Student was social, a small SDC might not suit her socially or academically. She was aware that children in an SDC have access to typical peers for part of the day, such as lunch, P.E., and school assemblies, and they could be mainstreamed for certain classes. She did not know what a mild-to-moderate SDC curriculum would be for Student, or whether it would be modified to the extent that she modifies Student’s curriculum at St. John’s. 95. Ms. Cosey reviewed Student’s progress on her goals in the general education kindergarten at Lincoln, as set forth in the January 24, 2008, IEP, and considered it good and remarkable. She believed that the class was appropriate for Student, particularly with respect to reading. She also testified that the math goals of number identification, quantitative concepts, and sorting, which the January 24, 2008, IEP stated Student had met, were modified kindergarten skills. 96. Ms. Cosey believed that Student was making progress at St. John’s, based upon Ms. Cosey’s own observations and her conversations with staff, as well as based on Student’s class tests and discussions with Student about her class work. The goal of the ILP was to have Student be more independent, and Ms. Cosey believed Student had become more independent, in that she could sit down independently and take a test. She believed that Student could receive a FAPE with an RSP teacher in general education, with curriculum modification. She believed that an RSP teacher could modify the curriculum sufficiently for Student. She stated that Student’s curriculum could be modified by a special education teacher, an RSP teacher, or by a trained aide. She subsequently amended her comments to state that the aide would require supervision, and would need to be taught what modifications to make on a particular day. She stated that Student did not require an SDC just because she needed extensive modifications to her curriculum, and she did not believe that Student’s cognitive level was related to placement of Student in a general education class. She believed that Student could be successful in a general education class with curriculum modifications, a supportive general education teacher, and a supportive staff. 97. Ms. Cosey’s opinion that Student would be able to progress in a general education class, despite the intensively modified curriculum she required, was contradicted by Ms. Steck. Ms. Steck questioned whether the intensive curriculum modifications Ms. Cosey implemented in Student’s general education classroom at St. John’s so altered the curriculum such that it would no longer meet state standards. Ms. Steck also questioned whether the basic, foundational learning skills that Student needed to acquire and to build upon, so that she could progress in her education, would be included in such a curriculum. 98. Ms. Cosey testified truthfully, but her opinions were not entirely credible, as they were not based on accurate information, and her experience teaching students in the primary grades was limited. In particular, she was not familiar with what the curriculum might be in a mild-to-moderate primary-grade SDC. She believed that an RSP teacher could modify Student’s curriculum in a general education class, but she gave no basis for that opinion. Indeed, that opinion was contrary to the statement of the RSP teacher at St. John’s, who denied that she was capable of helping Student. Ms. Cosey considered Student to be making progress because she could independently sit down and take a test. Ms. Cosey’s discounting of the need for Student to answer the test questions correctly or otherwise demonstrate her knowledge and understanding of the material, however, diminished the persuasiveness of her opinion as to Student’s progress. Ms. Cosey’s opinion that Student’s goals in kindergarten were modified grade-level goals was contradicted by Ms. Steck and Ms. Pethtel, both of whom had personal experience with Student’s kindergarten classroom and curriculum, and with the performance of Student and the other children in the kindergarten class. Additionally, Ms. Cosey’s opinion that CAVA constituted an inclusion setting was implausible, since the majority of Student’s instruction was in her own home, and interaction with typical children was not assured. Ms. Cosey’s opinion in this regard was partially based on the inaccurate information that Student attended the Community Day School several times per week, instead of one day per week for approximately 5 hours. 99. Parents paid $3,355 for tuition at St. John’s during the 2010-2011 school year, through February 2011. They paid $450.00 for the services of the SLP at St. John’s through February 23, 2011, at a rate of $90.00 per hour, and $1,115.00 for NPA LAS services through December 31, 2010, at the rate of $125.00 per hour. They paid a total of $9,740.30 for the services of Student’s classroom aides up to the time of the hearing, at an hourly rate which varied from $10.00 per hour to $13.00 per hour. At least $6,000 of that amount was for the services of Parents acting as Student’s aides. 1. During the hearing, District filed a motion to dismiss that was taken under submission. Accordingly, this Decision will address the motion prior to analyzing the merits of the issues raised by the Complaint. 2. On February 11, 2011, while the hearing was pending, District spontaneously filed a motion entitled “Motion to Dismiss or in the Alternative, Motion to Dismiss Remedies” (Motion). On February 17, 2011, Student personally served the ALJ written opposition to the Motion (Opposition), which she simultaneously personally served on District. Student subsequently filed the Opposition with OAH. District filed a written reply in support of the motion, and Student filed a written sur-reply in opposition to the motion. The ALJ did not invite the Motion, the reply, or the sur-reply. Both the Motion and the Opposition contain supporting documentation, however, none of those documents were authenticated at hearing, and no party attempted to move them into evidence until after testimony was completed. Therefore, none of the documents attached to the Motion or the Opposition were admitted into evidence at the hearing. The ALJ took the Motion under submission. 3. In the Motion, District contended that Student never re-enrolled in the District, but remained enrolled at CAVA, and therefore District was not required to offer or provide any services to Student. Therefore, District contended that the Student’s Complaint must be dismissed. In the alternative, District contended that Student could not recover her proposed remedies of tuition reimbursement for attendance at St. John’s, and reimbursement for DIS services that Student received. In addition, District contended that, should Student obtain recovery in this matter, her recovery should be limited to only the 30-day period during which the interim placement offer would have been in effect if Student had enrolled in the District, but only if District had a duty to serve Student at the same time she was being served by CAVA. Finally, Student contended that the Complaint was without merit and filed under false pretenses, as the information that Student remained enrolled at CAVA until December 2010, and that CAVA was providing her related services, was not known to District until Mother testified to those facts at hearing.5 Furthermore, District contended that Student falsified the copy of the CAVA IEP she presented to the District on June 14, 2010, as Mother testified that she gave District the original IEP, which she had signed on June 10, 2010, yet the document the District received was not signed. Consequently, District requested sanctions in the amount of at least $ 23,500. 4. In Student’s opposition, she contended that she in fact re-enrolled in the District. She contended that she did not withhold any information regarding Student’s enrollment at St. John’s and continued enrollment in CAVA. She also argued that she did not falsify documents, and Mother did not lie under oath. Student contended that she did not file the Complaint in bad faith, and that sanctions should not be awarded against her. 5. That portion of the Motion requesting a dismissal of the entire action is denied. Student did not enroll in the District; however, the District still has obligations to comply with the IDEA and the Education Code, which generally require that the District offer a FAPE to special education students such as Student, who reside within its boundaries. (See, Forest Grove School District v. T.A. (2009) U.S. __; 129 S. Ct. 2984, 2494-2495.) At the time she was exploring educational options in the District, Student was enrolled in CAVA, another LEA, but she had applied for admission to Davis, a District school. District cited no legal authority that would absolve the District from offering Student a 30-day interim placement offer of FAPE pursuant to Education Code section 56325, subdivision (a)(1) under those circumstances, and District, by its own conduct during the spring and summer of 2010, acted as though it had to make such an offer under those circumstances.6 District never requested that Parents withdraw from CAVA, or inquired as to whether Parents withdrew from CAVA, or conditioned its scheduling of a meeting regarding its interim placement offer on Student’s withdrawal from CAVA. Furthermore, District never required that Student enroll in the District prior to holding the August 31, 2010, meeting regarding Student’s 30-day interim placement. Indeed, to hold that District was not required to offer a 30-day interim placement offer in compliance with Education Code section 56325, subdivision (a)(1) under the circumstances of this case would be inimical to the broad policies of the IDEA and the Education Code, which are to assure that school districts offer a FAPE to eligible pupils who have disabilities. (See 20 U.S.C. § 1400(d); Ed. Code, §§ 56000, subd. (a); 56040, subd. (a).) Under District’s position, parents of children such as Student would be required to withdraw them from their current educational setting prior to knowing the placement and services that their district of residence could offer their child. Then, parents might have no other readily available school their child could attend should they disagree with the school district’s offer. This situation certainly does nothing to encourage a school district to offer a FAPE, rather, it encourages a district to offer almost any educational program on a “take it or leave it” basis, knowing that the parents might have no other school placement for their child. District has cited no legal authority to support this position. 5In the Motion, District accuses Mother of “lying under oath” as to when Student withdrew from CAVA, contending that the date was not December 2010, as Mother testified, but was actually January 11, 2011. At hearing, and as was discussed above, the evidence revealed that Parents submitted the request to withdraw Student on December 17, 2010, just prior to CAVA closing for winter break. Therefore, CAVA was unable to process the request until January 11, 2011, directly after winter break. Mother’s testimony may have been unclear on this point, but, from a practical standpoint, her statement was not untruthful. Further, there was no evidence that CAVA provided services to Student past December 17, 2010. 6As is further discussed below, Education Code section 52325, subdivision (a)(1) provides that a district must provide a FAPE to a pupil with an IEP who transfers into the district from another district in a different SELPA during the same academic year, including services comparable to those in the pupil’s previously approved IEP, for a period not to exceed 30 days. 6. That portion of the Motion directed at dismissing and/or limiting Student’s remedies is mooted by this Decision, as is further discussed below. 7. That portion of the Motion which requests sanctions is denied. District did not establish that Student engaged in bad faith actions or frivolous tactics, or tactics solely intended to cause unnecessary delay, so as to justify any award of sanctions under Government Code section 11455.30 or California Code of Regulations, title 5, section 3088. First, there was no evidence that Mother intentionally falsified the CAVA IEP of May 19, 2010, which she produced to District for copying, or intentionally testified falsely that she gave the District a signed version of that IEP. The evidence at hearing as to which version of the IEP Mother gave the District was conflicting, but this does not necessarily mean anything other than that Mother mistakenly gave the District an unsigned version of the IEP, and mistakenly thought she had given the District the original signed version. Indeed, both parties could have communicated more clearly during the summer of 2010 as to whether the IEP was signed, rendering this conflict immaterial. Secondly, as Student noted in her opposition papers, the Complaint did not conceal that Student was enrolled at CAVA and was receiving related services from CAVA. The Complaint could have stated these facts more prominently. However, that it did not was more a reflection of Parents’ ignorance of the possible legal significance of these facts than an attempt to mislead the ALJ or District. Moreover the concealments alleged by District regarding CAVA do not make the pursuit of the Complaint frivolous. As was discussed above, Student’s enrollment in CAVA at the time she sought placement and services from the District does not make her Complaint frivolous. Further, Student’s Complaint specifically alleges reimbursement for services to the extent they were not provided by CAVA, thereby indicating that Student did not intend to seek a double recovery. 8. Student contends that the District developed the interim placement offer without the participation of Parents, that the offer was predetermined, and that it was presented without any discussion.7 District contends that Parents were involved in the development of the interim placement offer, as was demonstrated by the numerous communications between Parents and District between May 2010 and August 31, 2010, and the discussions that occurred between the parties at the August 31, 2010, meeting. 9. The petitioner in a special education due process administrative hearing has the burden to prove his or her contentions at the hearing. (Schaffer v. Weast (2005) 546 U.S. 49, 56-57 [126 S.Ct. 528].) Thus, Student has the burden of proof in this matter. 8 At hearing, District acknowledged that, under the circumstances, the fact that Student would not have transferred into the District until the new school year of 2010-2011 did not make Education Code section 56325, subdivision (a)(1) inapplicable, despite the statute’s reference to students who transfer during the same school year. District recognized that Student had begun the transfer process during the 2009-2010 school year, which was the “same” school year. 14. Student failed to meet her burden of proof on this issue. The evidence reflected that Mother and Ms. Bentley communicated with each other by email and telephone on more than 18 occasions between May 2010 and August 2010. Their communications involved the CAVA IEP of May 19, 2010, CAVA’s assessments, the District’s request to conduct its own assessments, attempts to set meeting dates between the parties to discuss Student’s program, and the Parents’ position that Student should be placed in a general education classroom with complete access to typical peers and to a general education curriculum. 15. The evidence was uncontradicted that Ms. Bentley had carefully considered the documents that Mother had provided. Ms. Bentley had analyzed the CAVA IEP and had particular concerns about Student’s abilities as described therein, about the validity of the assessments conducted, about whether the CAVA self-study program was appropriate for Student, about whether full-time placement in a general education classroom was appropriate for Student, and about whether the CAVA IEP provided a FAPE. At the August 31, 2010, meeting at which Ms. Bentley provided Mother and Parents’ advocate with the District’s interim placement offer, Mother specifically requested changes in the PT and LAS services, and Ms. Bentley changed the amount of the services offered in response to Mother’s request. This evidence does not reflect that the interim placement offer was presented to Mother and her advocate on a “take it or leave it” basis, or that Mother’s wishes were not considered by Ms. Bentley. Rather, the evidence reflects that Ms. Bentley was well aware of Parents’ wishes with respect to Student’s educational program by the time of and at the August 31, 2010, meeting, and that she considered them. The law does not require that Ms. Bentley accede to Parents’ wishes, or that the 30-day interim placement offer conform to Parents’ desires. 16. Mother contends that she did not understand various aspects of the interim placement offer, such as the type of District specialist who would provide services, the extent to which Student would participate in general education and have access to typical peers, whether the SDC would be a mild-to-moderate level or a moderate-to-severe level, or the school which Student would attend.9 However, Mother knew that the offer was based upon the Settlement Agreement, which specified that the SDC would be a mild-to-moderate level, and which also specified the involvement that Student would have in general education and with typical peers. Moreover, the offer itself specifically provided that Student would be in the SDC for five hours per day, and would have a special education aide for six hours per day, from which one could infer that Student would be in general education for one hour per day. Mother contends that she did not know whether that one hour per day would be consumed with DIS services and not general education, but this contention is not credible. Given the variety of DIS services that District was offering Student, at 30-minute intervals, Mother had no reason to believe that the additional daily hour that Student would attend school outside of the SDC class would be consistently dedicated to related services at the expense of Student’s participation in general education. Mother presented no evidence to support this contention, such as prior experience with Student’s schedule in District’s schools. Ms. Bentley credibly testified that she told Mother that the specialist referred to in the interim placement offer would be an inclusion specialist. Ms. Bentley had also discussed with Mother the possible schools at which District would place Student, and Ms. Bentley had explained to Mother that she was unable to specify the school at that time. Finally, there was no evidence that Mother and her advocate asked questions at the August 31, 2010, meeting regarding the aspects of the offer that Student now contends Mother did not understand, such as the IEP that would be implemented, the grade in which Student would be placed, the type of specialist services the District offered and the nature and amount of access Student would have to the general education curriculum and to typical peers. Yet, there was no evidence that Ms. Bentley would not have responded to any such questions, or that Ms. Bentley had not responded to the best of her ability to the questions Mother and her advocate had posed at the August 31, 2010, meeting. Under these circumstances, Parents meaningfully participated in the formulation of the interim placement offer. Based upon Findings of Fact 1-81 and Legal Conclusions 9-15, there was no lack of parental participation or predetermination of Student’s program so as to deny Student a FAPE. 18. As was discussed in Legal Conclusion 12, Education Code section 56325, subdivision (a)(1) requires a district to provide a FAPE to a pupil who transfers from a district from another local plan area in California during the same school year, including services comparable to those described in the previously approved and implemented IEP, for a period not to exceed 30 days. For these purposes, the term “comparable” means similar or equivalent. 20. The issue of whether a school district has offered a FAPE has substantive aspects in addition to the procedural components. In Rowley, supra, the United States Supreme Court addressed the level of instruction and services that must be provided to a student with disabilities to satisfy the substantive requirements of the IDEA. The Court determined that a student’s IEP must be reasonably calculated to provide the student with some educational benefit, but that the IDEA does not require school districts to provide special education students with the best education available or to provide instruction or services that maximize a student’s abilities. (Rowley, supra, at 198-200.) The Court stated that school districts are required to provide only a “basic floor of opportunity” that consists of access to specialized instructional and related services which are individually designed to provide educational benefit to the student. (Id. at 201.) In County of San Diego v. California Special Education Hearing Office, et al. (1996) 93 F.3d 1458, 1467 (County of San Diego), the court specified that educational benefit is not limited to academic needs, but includes the social and emotional needs that affect academic progress, school behavior, and socialization. 10District also reiterated its position expressed in its Motion to Dismiss that it had no obligation to Student, since Student never enrolled in the District but remained enrolled in CAVA. For the reasons set forth in the discussion regarding the Motion to Dismiss, this contention is unmeritorious. 25. In this matter, District concedes that it did not base its 30-day interim placement offer on the placement and services offered in the May 19, 2010, CAVA IEP. District mistakenly believed that the CAVA IEP had not been signed, and therefore District need not rely on it. Rather, District relied upon the Settlement Agreement of June 4, 2008, which had been consented to and implemented, as the educational program which controlled its 30-day interim offer. To the best of the District’s knowledge at that time, the Settlement Agreement constituted the last agreed-upon IEP. However, the District’s reliance upon the Settlement Agreement in formulating its 30-day interim offer was not only mistaken, but it was also technically incorrect. If District believed that the CAVA IEP of May 19, 2010, had not been signed, then it should have considered whether there was a previous, signed, IEP from CAVA that set forth Student’s educational program at CAVA prior to May 19, 2010. In this regard, the CAVA IEP of May 19, 2010, specifically stated that Parents had signed an annual IEP of November 10, 2009, and an addendum IEP of February 10, 2010.12 District had not attempted to obtain these documents. However, for the reasons set forth below, the District’s error in not basing its August 31, 2010, 30-day interim offer upon the most recent signed CAVA IEP was not a denial of a FAPE. 26. Student’s contention that Education Code section 56325, subdivision (a)(1) required District to offer Student a placement in a general education classroom on an elementary school campus, with full access to the general education curriculum, as such a placement would have been comparable to the CAVA “full-inclusion” program, is incorrect. This contention is based upon the mistaken belief that the CAVA program is the same as a full inclusion program in terms of special education law. However, the evidence at hearing revealed that the CAVA program concentrated on one-to-one home-based instruction, including on-line classes. Student’s formal participation in a general education environment in the CAVA program under Education Code section 56361 was limited to her optional participation in the Community Day school for roughly one-half day per week, along with her occasional participation in various field trips and her participation in various social/athletic activities for which she received P.E. credit, such as Girl Scouts and T-Ball. These limited opportunities for interaction with typical peers does not change the character of the CAVA program from an individualized, home-based instructional program. As such, the program constituted instruction in the home, using telecommunication, which is the most restricted environment in the continuum of programs set forth in the Education Code section 56361 and 34 Code of Federal Regulations part 300.115. Based on the Education Code and Federal Regulations, the CAVA environment was not a general education, full inclusion environment, which is the least restrictive environment a district can provide. In fact, Parents never requested that the District provide a CAVA-type program, as they theoretically could have done under Education Code section 56325, subdivision (a)(1). Rather, Parents requested that Student be placed in a general education classroom, with full access to typical peers and a general education curriculum, either at a magnet school, or on a local elementary school campus. Had District acceded to Parents’ request, District would arguably have violated Education Code section 56325, subdivision (a)(1). 11 All references to the Code of Federal Regulations are to the 2006 version, unless otherwise stated. 12 No IEPs from CAVA prior to the May 19, 2010, CAVA IEP were offered into evidence at hearing. 27. In any event, the evidence was uncontradicted that the District had no program similar to that delineated in the CAVA IEP, and could not offer a comparable program. The Education Code and the IDEA are silent as to the particulars of the interim 30-day placement the District should offer under these circumstances, except that they both require that the District offer a FAPE. (Legal Conclusion 12.) The court in Vashon Island, supra, 337 F.3d 1115, 1134, considered a similar, but not identical situation, and held that when a dispute arises between a transfer student’s parents and a new school district about the most appropriate educational placement, and the new district cannot implement in full the student’s last agreed-upon IEP, the new district must adopt an interim plan that approximates the student’s old IEP as closely as possible under the circumstances. In this case, the SDC, with opportunities for inclusion in the general education curriculum, which was a more restrictive environment than the general education classroom desired by Parents, was more equivalent to the very restricted home-school, independent-study environment in the CAVA IEP than was the general education classroom. Furthermore, Parents did not demonstrate that the District had available another placement that was more akin to the educational placement of the CAVA IEP than the SDC placement that the District offered. Under these circumstances, the District complied with Education Code section 56325, subdivision (a)(1) to the extent possible. 28. Additionally, Student did not meet her burden of proving that District’s interim placement offer in the SDC deprived her of a FAPE. Ms. Cosey, Student’s expert, did not believe that an SDC was suitable for Student, but she had little, if any, familiarity with primary grade mild-to-moderate SDCs, such as District offered. Ms. Cosey’s opinion was based upon incorrect assumptions as to the type of curriculum that such an SDC offered, and that Student’s social personality would not fit into such a class. However, in view of the CAVA program, of which Parents and Ms. Cosey approved, and in which Student was largely isolated at home, Ms. Cosey’s opinion regarding student’s social needs is not credible. There was no evidence that Student required a large class to promote her social tendencies. Furthermore, Student presented no evidence that the extensive modifications that Student required in her general education classroom at St. John’s, and that she would likely also require in a general education classroom in the District, resulted in a curriculum that met California standards. Yet, an educational program that meets state standards is one of the basic requirements of a FAPE. In this regard, Ms. Steck questioned whether the intensive curriculum modifications Ms. Cosey implemented in Student’s general education classroom at St. John’s so altered the curriculum such that it would no longer meet state standards. Ms. Steck also questioned whether the basic, foundational learning skills that Student needed to acquire and to build upon, so that she could progress in her education, would be missed in such a curriculum. 29. As Ms. Steck and Ms. Bentley testified, the curriculum in a District SDC is already modified, and meets state standards. Furthermore, as Ms. Steck noted, special education can include more than a modified curriculum. It consists of presenting the material by a special education teacher, in a variety of modalities, using direct instruction and repetition. In Ms. Steck’s opinion, Student required these elements so as to make more than minimal educational progress. 30. Under the circumstances of this case, the law requires that an interim placement offer under Education Code section 56325, subdivision (a)(1), constitute a FAPE, and approximate the Student’s previously consented to and implemented, IEP. The law also requires that the District offer placement be the LRE. As was discussed above, Student’s contention that the CAVA program was the LRE was incorrect, as the CAVA program was the most restrictive environment. (34 C.F.R. § 300.115 and Ed. Code §§ 56360, 56361.) District’s interim placement offer of an SDC class, with the services of an inclusion specialist and access to the general education environment for one hour per day, provided a program that was in a less restrictive environment than Student’s CAVA program. 31. Student’s contention that the SDC placement was not the LRE for Student, but that Student’s LRE is a general education classroom is unmeritorious. Application of the factors required by Holland, supra, reveals that the SDC, and not the general education classroom, was Student’s LRE. First, the educational benefits to Student of the SDC placement outweighed the educational benefits to Student of placement in the general education environment. Ms. Steck and Ms. Pethtel credibly testified that an SDC would meet Student’s needs for repetition, and intensive curriculum modifications, and her multi-modal learning style would be accommodated. Student offered little credible evidence that she had made progress in her CAVA general education curriculum. The progress that CAVA reported with respect to Student’s on-line work was not substantiated or replicated by the objective CAVA assessments, and was not supported by Student’s failure to meet her CAVA academic goals. Ms. Cosey testified that Student was making progress in her general education class at St. John’s, but there are several difficulties with this testimony. First, under the snapshot rule, District did not know at the time of its interim placement offer whether Student would make any progress at St. John’s. Secondly, Ms. Cosey’s testimony that Student was making progress in St. John’s general education curriculum is questionable. Ms. Cosey testified that Student’s main goal at St. John’s was to perform tasks independently. Student was successfully, independently, sitting down and taking science tests. However, the ability to perform some tasks independently does not demonstrate that Student was receiving academic benefit at St. John’s or progressing in her curriculum. Student produced no report cards, work samples or other such evidence that she was making academic progress in St. John’s in a curriculum that meets California state standards. 32. With respect to the second Holland factor, there was no evidence that Student would obtain greater non-academic benefits of interacting with typical peers in a general education classroom than she would by interacting with typical peers in the mainstreaming opportunities offered by the District. In this regard, there was evidence that Student and typical peers enjoyed each other’s company. However, Student presented no specific evidence that she obtained particular social and communication or other personal benefits, such as increased self-esteem or self-confidence, by reason of being in the company of typical peers. 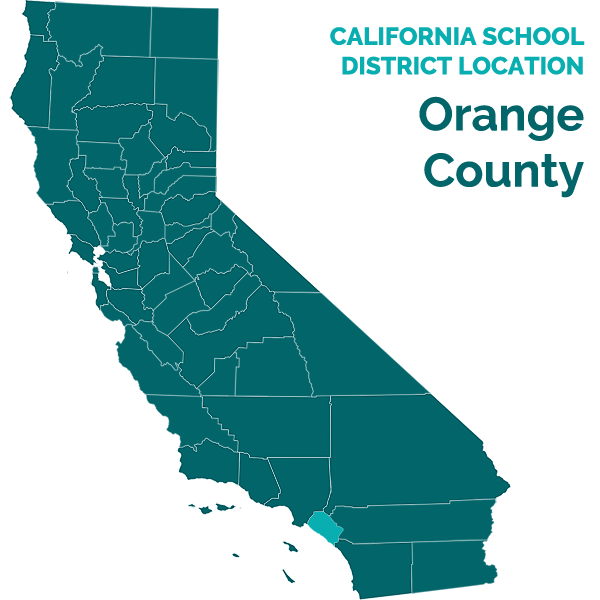 Mother testified that Student benefited by learning from and modeling typical peers, but she cited no specific examples of such benefit, or evidence that such benefit could not be obtained in the mainstreaming opportunities offered by the District. 33. With respect to the third Holland factor, the evidence demonstrated that neither a general education teacher, nor an aide, could modify the general education curriculum to the extent Student required in a general education classroom. Ms. Steck credibly testified that a general education teacher would have difficulty teaching Student a curriculum that was modified to the extent Ms. Cosey modified Student’s curriculum. Under these circumstances, Student’s presence in the general education classroom would likely be a detriment to the teacher. Additionally, to the extent that the teacher must address Student’s individualized curriculum needs, the other children in the general education class would be negatively impacted, as they would receive less attention. With respect to the fourth Holland factor, there was no evidence regarding the cost of educating Student in the District SDC as compared to education her in a general education classroom in the District. Under these circumstances, the balancing of the Holland factors weighs in favor of placing Student in the SDC. 34. Based upon Findings of Fact 1-98, and Legal Conclusions 9-12, and 18-33, Student did not meet her burden of proving that District’s interim placement offer, to the extent it offered placement in an SDC, violated the Education Code and the IDEA, or deprived Student of a FAPE in the LRE. 35. Student contends that the District’s interim IEP of August 31, 2010, was not comparable to the CAVA IEP because it failed to offer P.E. as it was offered in the CAVA program. In the CAVA program, Student received P.E. credits for participating in T-ball and Girl Scouts. District contends that P.E. is part of the California state-mandated general education curriculum, and that it is not a special education service that must be provided in an IEP. District further contends that P.E. was not included as a service on the CAVA IEP of May 19, 2010. 36. As was discussed in Legal Conclusion 12, Education Code section 56325, subdivision (a)(1) requires a district to provide a FAPE to a pupil who transfers from a district from another SELPA in California during the same school year, including services comparable to those described in the previously approved and implemented IEP, for a period not to exceed 30 days. For these purposes, the term “comparable” means similar or equivalent. 38. As was stated in Legal Conclusions 20 and 21, to provide a FAPE, a pupil’s IEP must be reasonably calculated to provide the student with some educational benefit, but that the IDEA does not require school districts to provide special education students with the best education available or to provide instruction or services that maximize a student’s abilities. To determine whether a school district’s program offered a student a FAPE, the focus must be on the adequacy of the district’s proposed program, and an IEP is evaluated in light of information available to the IEP team at the time it was developed; it is not judged in hindsight. 39. Student failed to meet her burden of proof that the District violated Education Code section 56325, subdivision (a)(1) regarding this issue. First, P.E. is not a special education service listed in the May 19, 2010, CAVA IEP. Therefore it was not a service that the District was required to include in its interim placement offer under Education Code section 56325, subdivision (a)(1). Further, there was no evidence that Parents requested that District’s interim placement offer include P.E. Second, the evidence reflected that Student would have received P.E. as a normal part of the curriculum in the SDC, and it would also have presented an opportunity for Student to participate in general education. Therefore, the failure of the interim placement offer to specifically include P.E. did not deprive Student of a FAPE. Third, the IDEA and the Education Code do not require a District to include P.E. in an interim placement offer. Fourth, the evidence further revealed that Student would be able to participate in T-ball and Girl Scouts during non-school hours.13 Student received P.E. credit for these activities from CAVA, but there is nothing in the Education Code or the IDEA that requires the District to grant Student P.E. credits for these activities under the circumstances of this case. In this regard, the law does not require District to provide the best education available, or maximize Student’s abilities, so as to provide a FAPE. 13Student’s Complaint did not allege that the District was required to offer adapted physical education (APE) in the interim placement offer of August 31, 2010, and Student made no such contention at hearing. Indeed, Student argued in her closing brief that if the District provided APE to Student, the District would be depriving her of participation in the general education environment. Moreover, there was no evidence that the failure of the interim placement offer to specify that Student would receive APE constituted a denial of a FAPE. 40. Based upon Findings of Fact 1-81, and Legal Conclusions 8-12, 20-21, and 36-39, District did not violate Education Code section 56325, subdivision (a)(1), or the statute’s mandate to provide Student a FAPE, by failing to specify in the interim placement offer that Student would receive P.E. 42. As was discussed in Legal Conclusion 12, Education Code section 56325, subdivision (a)(1) requires a district to provide a FAPE to a pupil who transfers from a district from another local plan area in California during the same school year, including services comparable to those described in the previously approved and implemented IEP, for a period not to exceed 30 days. For these purposes, the term “comparable” means similar or equivalent. 14The IDEA requires a District to make a formal, written offer of placement. (Union School Dist. v. Smith (9th Cir. 1994), 15 F.3d 1519, 1526 (Union).) In Union, the District failed to formally offer a placement that the District deemed appropriate because the parents in that case had expressed unwillingness to accept that placement. In determining that the District had thereby committed a procedural violation of the IDEA, the Union court noted that a formal written offer of placement provides a clear record of what was offered, and greatly assists parents in presenting due process hearing complaints. (Id.). Here, Student’s Complaint did not allege that the District’s offer of LAS services was unclear and therefore constituted a procedural violation of the IDEA under Union. Rather, based upon the procedural history of this case, Student understood the offer of LAS services, and was not impeded in presenting her complaint by reason of any unclarity in the offer. 44. As was stated in Legal Conclusions 20 and 21, to provide a FAPE, a pupil’s IEP must be reasonably calculated to provide the student with some educational benefit, but that the IDEA does not require school districts to provide special education students with the best education available or to provide instruction or services that maximize a student’s abilities. To determine whether a school district’s program offered a student a FAPE, the focus must be on the adequacy of the district’s proposed program, and an IEP is evaluated in light of information available to the IEP team at the time it was developed; it is not judged in hindsight. 45. In this case, Student’s CAVA IEP of May 21, 2010, provided for individual LAS services for 50 minutes, three times per week. During the meeting with Mother and her advocate on August 31, 2010, to develop the interim placement offer, Ms. Bentley had initially offered group LAS services at the rate of 4 times per week, for 30 minutes per session. This did not comport with the Settlement Agreement of June 4, 2008, which provided for LAS services as set forth in the District’s March 17, 2008, IEP, of four times per week at 30 minutes per session, with two sessions to be group and two sessions to be individual. The District’s initial offer of LAS services was also different from the CAVA IEP of May 21, 2010, in that the District’s offer included only group services, and in that the District was only to provide services for 120 minutes per week instead of for 150 minutes weekly. When Mother brought the discrepancies between the CAVA LAS services and the LAS services initially contained in the interim placement offer to Ms. Bentley’s attention, Ms. Bentley increased the minutes per week of services to 150 minutes, and changed the type of services to be individual and/or group, with the SLP to determine whether the services would be group, or individual, or a combination thereof. 47. Even if the District’s offer of LAS services in the interim placement offer were to be considered not comparable to the CAVA LAS services, Student did not demonstrate that she sustained any damage. Student remained enrolled in CAVA until at least December 2010, and received all DIS services in the CAVA IEP until December 17, 2010, including LAS services. Student did not contend, or establish, that those services failed to constitute a FAPE. 48. Based upon Findings of Fact 1-84, and Legal Conclusions 8-12, 20-21, and 42-47, District did not deny Student a FAPE on this ground. The relief sought by Student in her Complaint is denied. 15 District did not prevail on the Motion to Dismiss discussed herein, but that is a law and motion matter that happened to be raised during the hearing. It is not a due process complaint encompassed by the terms of Education Code section 56507, subdivision (d).